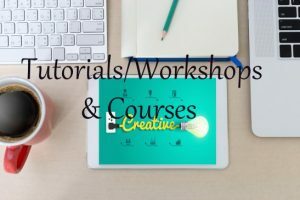 Below are some tutorials, workshops, & courses from MMJ Designs. Check the blog for posts of various topics. They are posted from time to time. DEG Tutorials – These are free tutorials written when I first started designing. They are prior to 2005. These tutorials were on a sited I had called DEG Tutorials. I’ve since moved content here. Note: The tutorials were written for a specific software and some files may not work in other programs. Also there could be broken links since the information is old. Intensive Group Coaching. Limited Time Intensive Program (will be launching soon and have a certain amount of space).